Asset Protection typically refers to the protecting your property/estate from potential creditors (most often lawsuit judgements). In Nevada, and throughout the country, people are increasingly using the legal system to unjustly deprive others of their life’s work. Millions of new lawsuits are filed in the United States every year, many of which are frivolous or settled for sums greater than the actual liability. Awareness of potential risks to your estate is an essential first step. Business owners, professionals (such as doctors, dentists, lawyers, accountants), and property owners are all greater targets for suits, simply due to the nature of their work and the types of assets they own. Without a massive overhaul of our legal system, the risk and potential liability is not going to decline… in fact, the number of lawsuits filed has steadily increased over the past few decades. Accidents/injuries occurring on your property, etc. How Can You Protect Your Assets from Lawsuits? This is accomplished through the process of Asset Protection Planning. Simply put, Asset Protection Planning is the process of taking assets that could be subject to creditors' claims, (sometimes referred to as “non-exempt” assets) and re-characterizing them as “exempt” assets (those that are likely to be out of the reach of creditors’). Nevada increasingly has become a leading domestic trust situs state, due in large part to our favorable trust & asset protection laws and tax environment. Our firm has expertise in assisting clients with the structuring of their estates, including real property and other assets in a manner that minimizes their exposure to potential creditors. Formation of trusts, business entities, and counsel regarding maximizing state & federal exemptions some of the services we offer to the greater Las Vegas area (as well as to clients throughout Nevada & California). A creditor who initiates litigation against a person who has placed his or her assets into properly formed & maintained Asset Protection Plan may find that there are very few collectible assets actually owned by the person they wish to sue- making them much less of a lawsuit target. We commonly use a multi-layered planning approaching, which may include entities such as Nevada Spendthrift Trusts (also known as “Nevada Asset Protection Trusts”, Self-Settled Spendthrift Trust, ______), and various types of business entities (such as Nevada LLCs). Phillips Ballenger offers a solid working knowledge of varies types of Asset Protection Planning strategies to protect your estate. 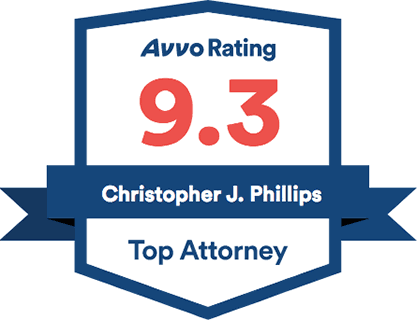 We typically meet with prospective Clients to learn about their goals & current holdings, and then apply our legal knowledge to identify the best ways to legally protect those holdings from a variety of creditors. Depending on the Client’s goals, their potential for future exposure, the nature/type of assets, and tax regulations will determine what options are available & advisable for asset protection. Our team also assists with implementation of the recommended strategy, to ensure it’s being used and maintained in the proper manner. Our primary goal is to design a legal & ethical plan that is efficient, comprehensive and effective. Read more about our Planning Process here. 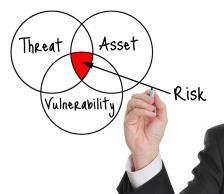 When Should I Begin Asset Protection Planning? Asset protection planning cannot begin when a judgment creditor is already on the horizon. Why? Because each state has laws that protect creditors against people transferring assets out of their names with the intent to hinder, delay, or defraud a creditor (this is known as a “Fraudulent Transfer” or “Fraudulent Conveyance”). This is a strictly off-limits. If a Court or Plaintiff suspects a fraudulent transfer has taken place, the Court can simply order that the transfer be reversed and the assets turned over to satisfy the judgement. As such, Asset Protection Planning should begin long before there is any threat of a lawsuit. Do I Need Asset Protection Planning if I have Insurance Coverage? While insurance is an important protective barrier against some of these threats discussed previously, it does not always suffice to protect entirely (i.e. exceptions to coverage outlined in the insurance policy, policy coverage limits). Asset Protection Planning adds an additional barrier to protecting your assets & estate to ensure the safest approach to protecting what is truly yours. Phillips Ballenger assists professionals, small business owners, property owners, entrepreneurs & others in designing & implementing proven, legally-sound asset protection strategies to safeguard assets against potential litigation, judgements, liens, and fraud. Attorney Tiffany Ballenger Floyd and her team assists with asset protection matters- please Contact Us today to schedule your Asset Protection Consultation.